This official handbook provides an authoritative tool for pilots, flight instructors, and those studying for pilot certification. 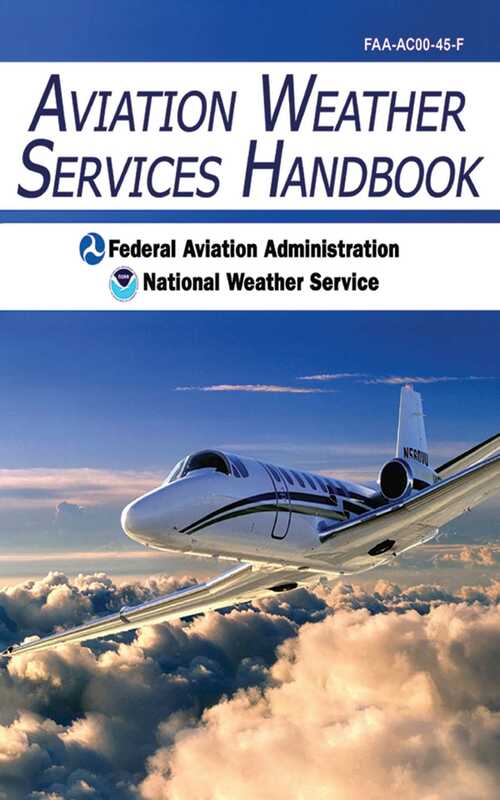 From both the Federal Aviation Administration and the National Weather Service, this newest edition offers up-to-date information on the interpretation and application of advisories, coded weather reports, forecasts, observed and prognostic weather charts, and radar and satellite imagery. Expanded to 400 pages, this edition features over 200 color and black-and-white photographs, satellite images, diagrams, charts, and other illustrations. With extensive appendixes, forecast charts, aviation website recommendations, and supplementary product information, this book is an exhaustive resource no aviator or aeronautical buff should be without. Chapters included in the Aviation Weather Services Handbook are: The Aviation Weather Service Program, Aviation Weather Product Classification and Policy, Aviation Routine Weather Report (METAR), Pilot and Radar Reports, Satellite Pictures, Radiosonde Additional Data (RADATs), Graphical Observations and Derived Products, Products for Aviation Hazards, and Aviation Weather Forecasts. Readers will also find useful Surface Analysis Charts, Weather Depiction Charts, Radar Summary Charts, and Constant Pressure Analysis Charts. This handbook comprises absolutely everything weather-related that a pilot needs to know. Educational, comprehensive, and potentially lifesaving, this is an indispensable manual for anyone involved in handling a plane.